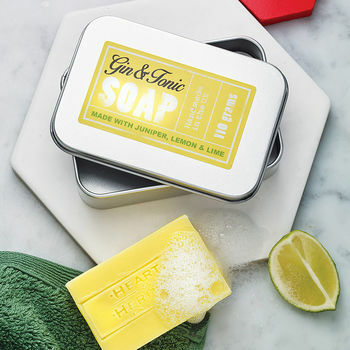 A moisturising soap presented wrapped and in a handy travel tin, fragranced with Juniper, Lime & Lemon. 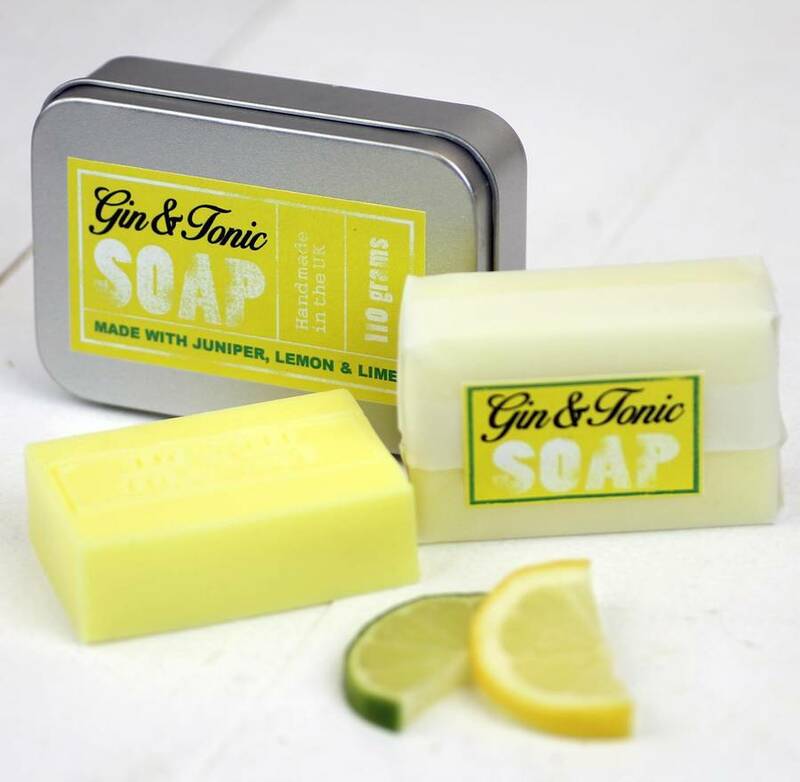 Treat your wife, Mum, partner or girlfriend to this unusual yet practical gift idea. She'll love the thought and the packaging, but she'll also love the rich, creamy lather with its fresh zingy aroma of Lime, lemon and juniper berries. 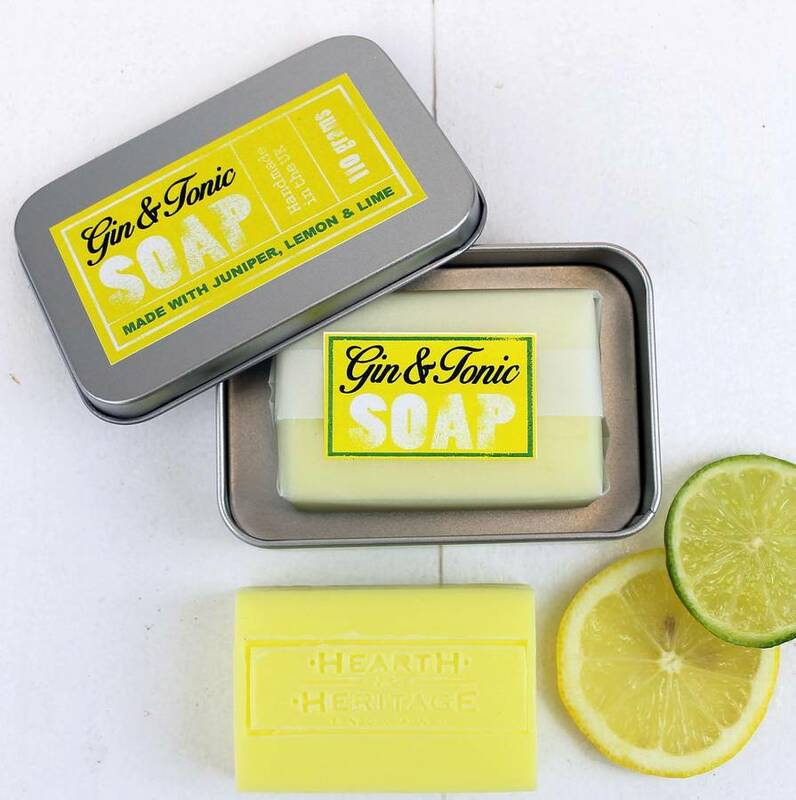 Each bar is wrapped in soap paper and then beautifully packaged in a metal gift box, which is perfect for travelling and can be reused after the soap has gone to store all sorts of things in the bathroom. 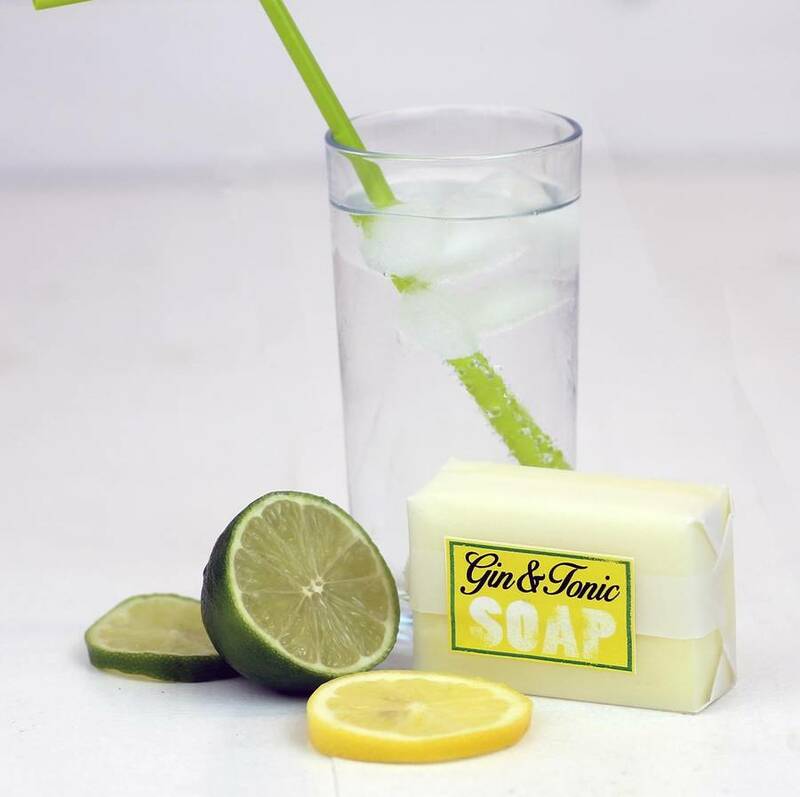 When life hands you lemons...just make a Gin & Tonic! We handmake our products using only the finest ingredients to produce a richly moisturising bar which is kind to skin and the environment. 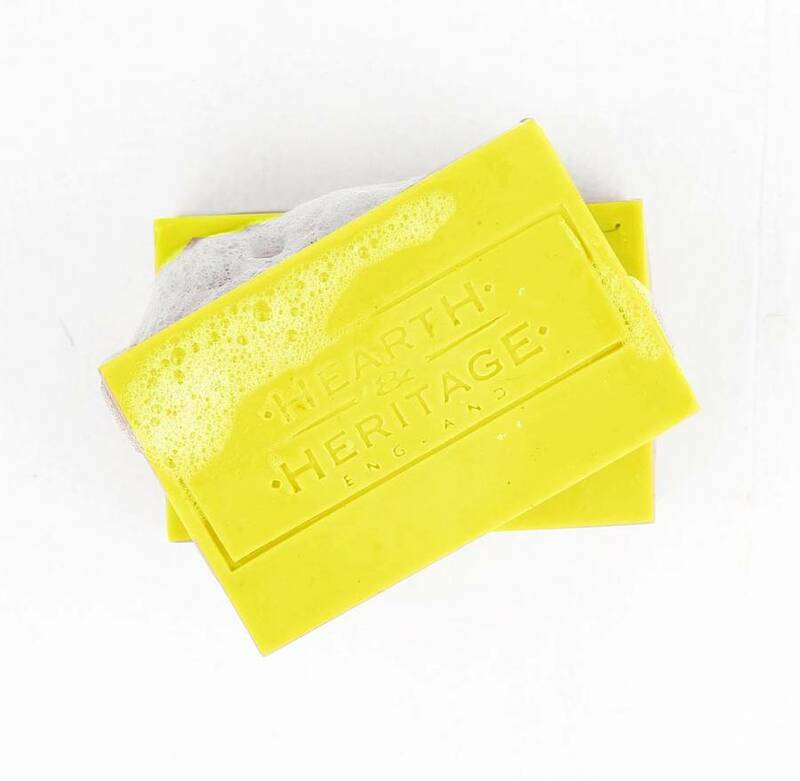 No chemical fertilisers or pesticides are used to grow the crops, and we're proud of the Soil Association certification which ensures the integrity of our soaps and their ingredients. 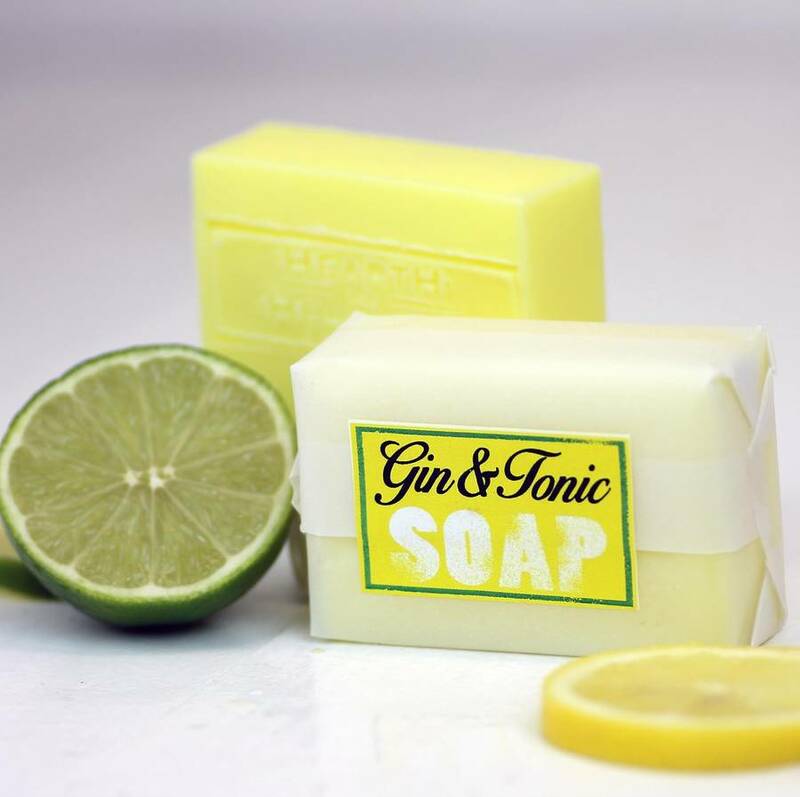 For the finishing touch, why not let us giftwrap your soap? Your gift will arrive ready for them to open, wrapped in gift paper, tied with a ribbon, with a handwritten gift tag. We can also send it directly to the recipient if you would like - just select "add gift options", tick the "gift receipt" box, complete the name and address details, and add a personal note if you wish. We'll make sure there are no price details shown on the despatch note. The package fits through letterboxes.